Frankly, there are not too many places that inspires me more than New York City. I remember the first time I saw Manhattan. As my plane from Rome approached JFK airport, the city appeared through the clouds like a dream. It was beautiful. Artist Jesse Demolli to paint murals of Italy at Bongiorno's, Italian Restaurant in Albany, NY. 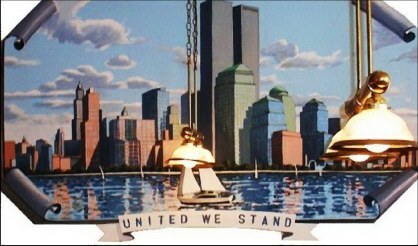 Demolli Art Studio has been hired to paint a nostalgic mural at Bonjourno Restaurant in Albany, NY. Artist Jesse Demolli will paint a panorama of Messina, Italy in the Restaurant. Messina is a port in Italy known for its stunning vistas. Artist Jesse Demolli paints a mural of Tanzania for National Geographic Staff Photographer. 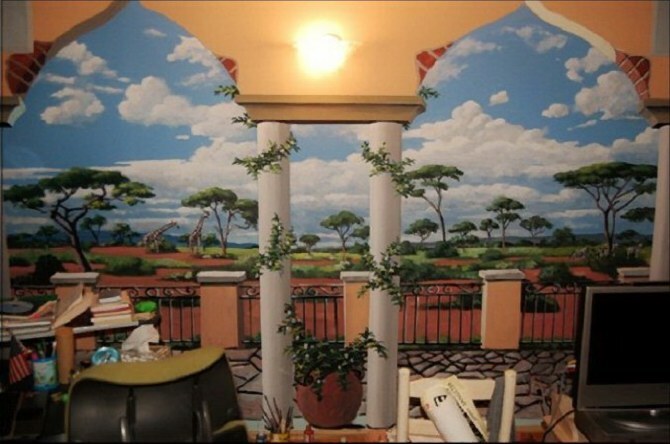 The mural of Tanzania Park is based on the client’s photography in Africa and includes wild animals and the Tanzanian famous acacia tree. 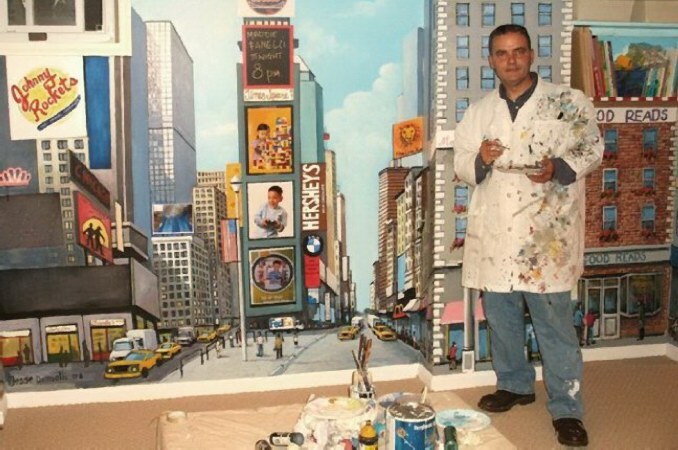 Don't wait, commission a mural of New York City Skyline today! Simply measure your walls and contact Demolli Fine Art Studio. 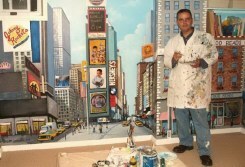 Artist Jesse Demolli to paint an interactive mural of Times Square NY. in a children’s Playroom in NYC. The excitement of Times Square makes it a captivating subject to paint. I love working on city streetscapes and Times Square is one of my favorite subjects. I've found that wherever you go, from Florida to New Jersey, everyone loves New York. In one version of Time Square, I painted a childrens playroom, added family names to the Marquees and left space for them to post their upcoming 'performances'. Demolli Fine Art Studio offers full services in New York: Murals, Oil Paintings, Decorative Art, & Art Restoration.